Although we have the knowledge and technology, Canadians are left in pain after surgery, even in our top hospitals. Only 30% of ordered medication is given, 50% of patients are left in moderate to severe pain after surgery and the situation is not improving (Watt‐Watson, Stevens et al. 2004; Watt‐Watson, Choiniere et al. 2010). Growing evidence has identified that many common surgical procedures cause persistent post‐operative pain that becomes chronic (Kehlet, Jensen et al. 2006). Pain is the most common reason for seeking health care and as a presenting complaint accounts for up to 78% of visits to the emergency department, recent research continues to document high pain intensity and suboptimal pain management in a large multicenter emergency department network in Canada and the United States (Todd, Ducharme et al. 2007). and mortality following surgery (Liebeskind 1991). Many cancer and HIV survivors have greater quantity of life but unfortunately a poor quality of life due to chronic pain conditions caused by the disease or the treatments that cause irreversible damage to nerves (Levy, Chwistek et al. 2008; Phillips, Cherry et al. 2010). Chronic pain is associated with the worst quality of life as compared with other chronic diseases such as chronic lung or heart disease (Choiniere, Dion et al. 2010). People living with pain have double the risk of suicide as compared with people without chronic pain (Tang and Crane 2006). Ontario are increasing and that most of the people who died had been seen by a physician within 9‐11 days prior to death (emergency room visits and office visits respectively) and the final encounter with the physician involved a mental health or pain related diagnosis. In almost a quarter of the cases the coroner had determined that the manner of death was suicide (Dhalla, Mamdani et al. 2009). Veterinarian students receive 3X more pain education than human health professionals and 5X more hours than medical students (Watt-Watson, McGillion et al. 2009). Pain research is grossly under‐funded in Canada (Lynch, Schopflocher et al. 2009). Institute of Medicine (2011), Relieving Pain in America: A blueprint for transforming prevention,care, education and research. Washington DC, National Academies Press. Hadjistavropoulos, T., S. Gibson, et al. (2010). Pain in older persons : a brief clinical guide. Chronic Pain Management: A Clinical Guide. M. E. Lynch, K. D. Craig and P. W. H.
Peng. Oxford, UK, Wiley‐Blackwell: 311‐318. Kehlet, H., T. S. Jensen, et al. (2006). "Persistent postsurgical pain: risk factors and prevention." Lancet 367: 1618‐1625. Levy, M. H., M. Chwistek, et al. (2008). "Management of chronic pain in cancer survivors." Cancer J 14(6): 401‐409. Liebeskind, J. C. (1991). "Pain can kill." Pain 44: 3‐4. Lynch, M. E., D. Schopflocher, et al. (2009). "Research funding for pain in Canada." Pain Res Manage 14: 113‐115. Moulin, D., A. J. Clark, et al. (2002). 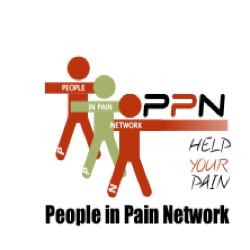 "Chronic pain in Canada, prevalence, treatment, impact and the role of opioid analgesia." Pain Res Manage 7: 179‐184. Phillips, T. J. C., C. L. Cherry, et al. (2010). "Painful HIV‐associated sensory neuropathy." Pain Clinical Updates XVIII (3): 1‐8. Schopflocher, D., R. Jovey, et al. (2011). "The Burden of Pain in Canada." Pain Res Manage: In Press. Stanford, E. A., C. T. Chambers, et al. (2008). "The frequency, trajectories and predictors of adolescent recurrent pain: A population based approach." Pain 138: 11‐21. Tang, N. and C. Crane (2006). "Suicidality in chronic pain: review of the prevalence, risk factors and psychological links." Psychol Med 36: 575‐586. Watt‐Watson, J., M. McGillion, et al. (2009). "A survey of pre‐licensure pain curricula in health science faculties in Canadian universities." Pain Res Manage 14: 439‐444. Watt‐Watson, J., B. Stevens, et al. (2004). "Impact of preoperative education on pain outcomes after coronary artery bypass graft surgery." Pain 109: 73‐85.